Before I cover what Mr. Nielsen has to say about Windows 8, let me explain a little about who Jakob Nielsen is. 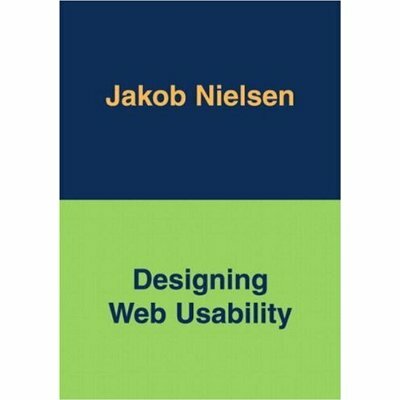 A former Sun Distinguished Engineer (back in the days when that really meant something), Nielsen is also the author of numerous influential and widely-read books on Web design and Web usability, most notably: Designing Web Usability: The Practice of Simplicity. I’ve read this 1999 book at least four times — the last time in 2011, while revising my HTML For Dummies into its 13th edition overall, and every time I read it, I get more and more useful or indispensable information out of its contents. Nielsen’s 1999 on Web usability remains a potent classic on this subject. Ouch! In closing, however, Nielsen holds out some hope for the future saying that “Windows 7 is a good product and … Windows 8 is a misguided one.” His plans probably echo that of many other readers, especially those using Windows in the enterprise: “I’ll stay with Win7 the next few years and hope for better times with Windows 9. One great thing about Microsoft is that they do have a history of correcting their mistakes.” Let’s hope further that Mr. Nielsen is correct! As a Windows expert yourself, do you agree with Nielsen's comments about Windows 8? I find all this very strange. When I first used a Mac, I hated certain eccentricities in its interface but now I am used to it. What really made all types of Windows and Mac software usable were mouse hover balloon help and context menus - "if in doubt, right click". For an interface designed for commonality across phones and tablets? These familiar clues are impossible (almost) to include. My wife was stuck when she had a pdf in her browser window on her IPad- how to save it? I told her to tap the screen and use the I-Book button that then appears. The same early stage faltering applies for the non-intuitive features of Windows 8 - if in doubt tap, failing that swipe, failing that try a corner. I have only played with Win8 for 5 minutes but had no trouble shooting back and forth between new and old interface - it seemed no more or less intuitive than first time use of IOS. It is a pity that Apple is patenting some of its tap and swipe metaphors as this will militate against useful user expectations of a phone/pad interface.